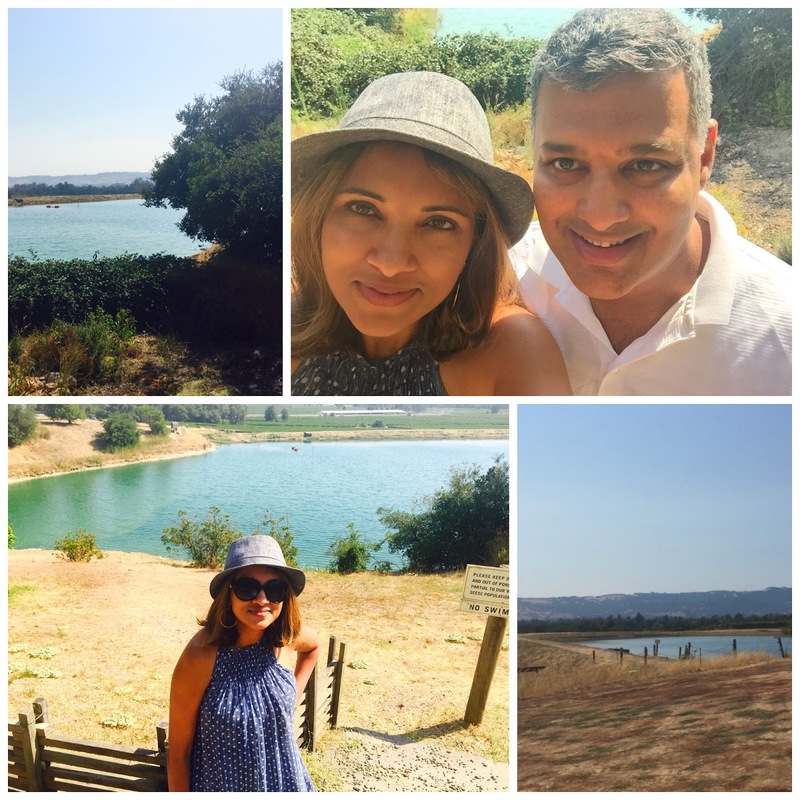 Sonoma was a must-see when we visited California in August. 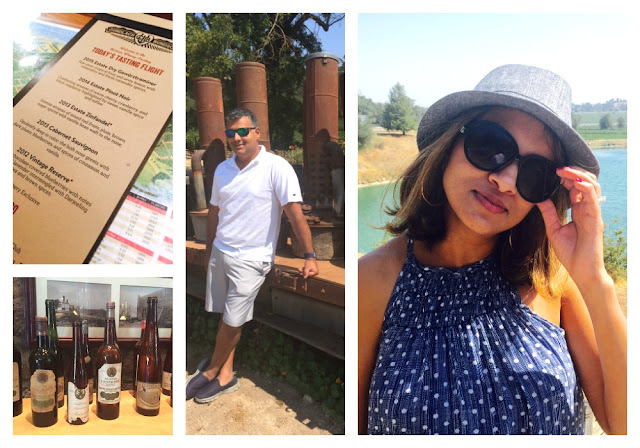 Only a half an hour away from Napa Valley, it was a perfect little sojourn for the day-- though we could have probably spent quite a few days there with over 400 wineries to visit! So quaint and quiet but so full of character. First up, we headed to the town square where we wandered around for a bit, admired the local architecture and then had some breakfast at a little cafe. 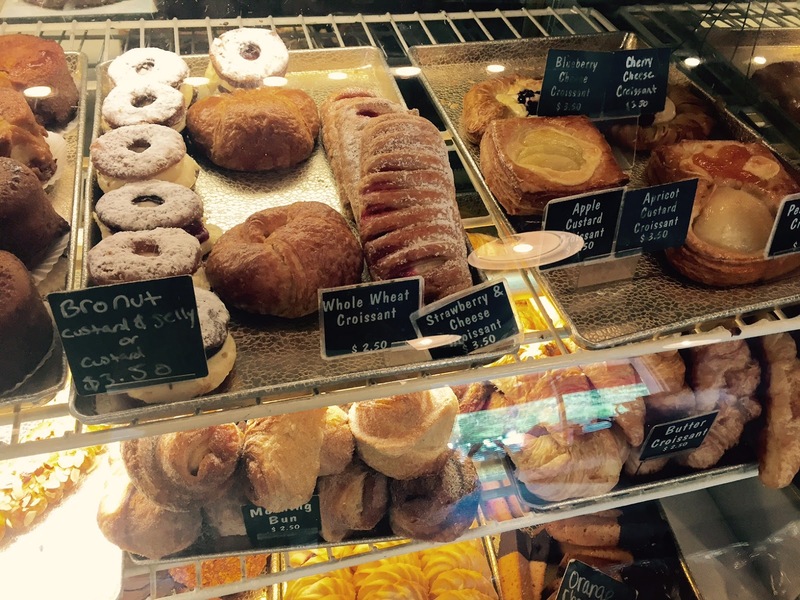 I didn't have all this for breakfast. The urge was strong but we resisted. Next up, the Benziger winery. This was one of my very favourite places in my entire trip. Such beautiful grounds and family run wineries. They run their farms using biodynamic, organic processes and their white wines were crisp, clean and exactly to my liking! 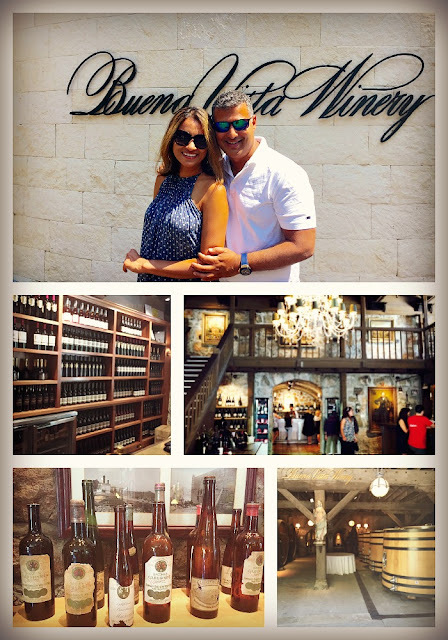 We did a walking tour of their processes, wandered around the vineyards and did some tastings. It was there that I discovered my new friend, port. 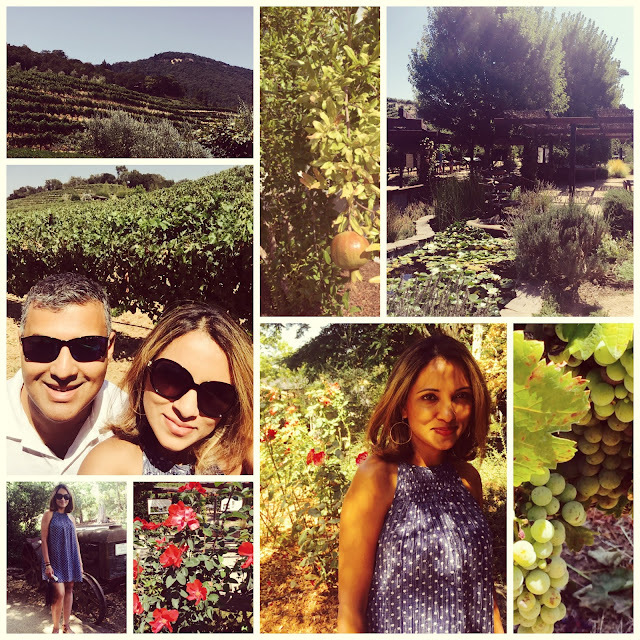 The flowers, the fruit, the vineyards-- SO pretty!! We ended up buying three bottles of wine here. 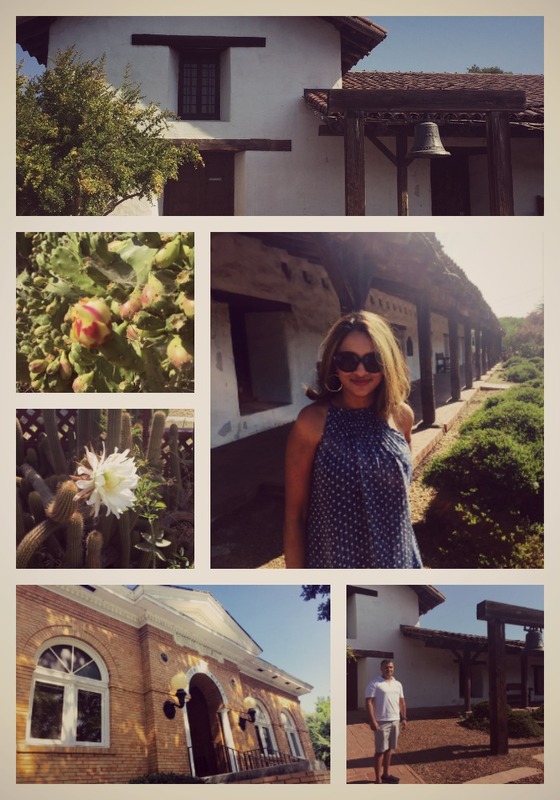 Buena Vista, the oldest commercial winery in California, was the next stop. This one is a national Californian landmark and was another picturesque site. Can you tell how seriously we were taking ourselves? Last up after a quick diner lunch, Gundlach Bundchu, another family run winery with its sixth generation of owners. This one was different with the walking trails, eclectic murals, views of the water and beautiful rustic look. And finally we hightailed in out of there for a meal at Ad Hoc back in Yountville, Napa. A four course, family style menu that changes daily with wine pairings for each course. 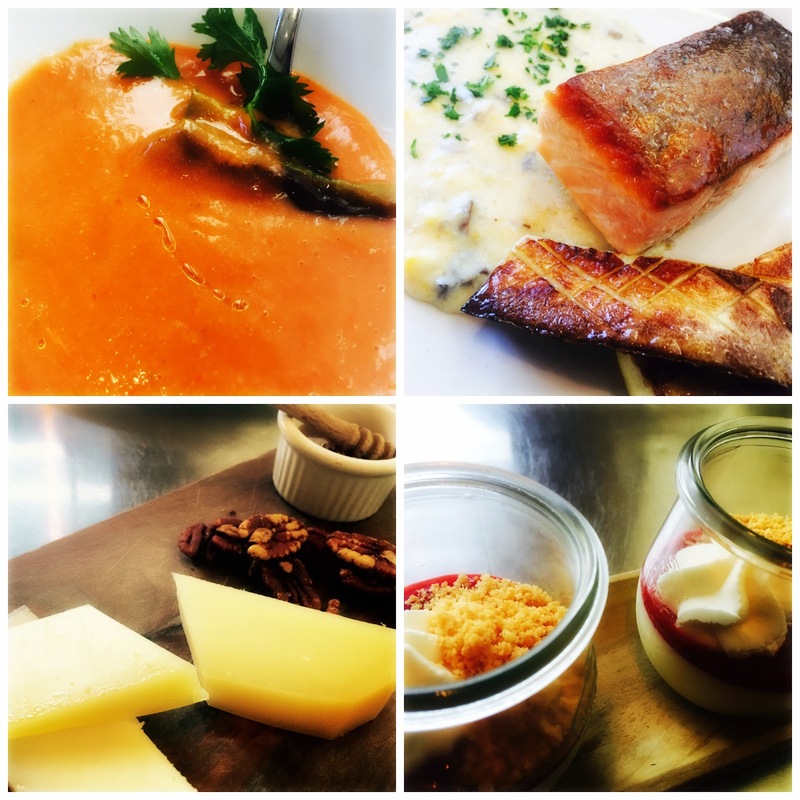 Their tomato gazpacho, salmon, cheese and pots de creme are the stuff foodie dreams are made of. Such a memorable dining experience. You can read about our experience in Napa here. This makes me miss warm weather. It looks so beautiful, rustic and fun. Plus that dress of yours is so stinking cute! Totally better late than never! I adore Sonoma but yet to visit any of these wineries. Did you make reservations for each place? That's one thing we didn't think to do and got turned away from even walking around the property. 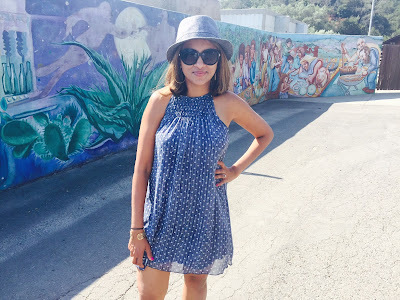 Adorable out for your wine country adventures. Mam...this dress!! So precious on you!